This week, we talk to Mikael Blak. 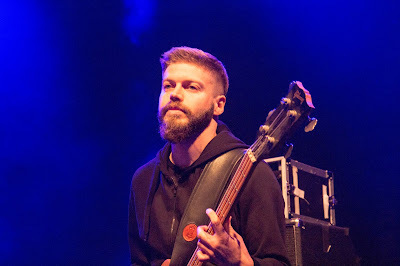 Blak is perhaps the most sought-after bass player in the Faroe Islands and he plays with so many bands he has a hard time naming them all. We talk about the difference between playing jazz and punk, growing up in a musical family, and the absurdly large musical output from this tiny country. Then we duck into a library to get dry. As always, you can listen on Apple Podcasts, on Stitcher Smart Radio, Google Play, and anywhere quality podcasts are given away freely. You can also download the show directly here. The Faroe Islands Podcast Telethon!